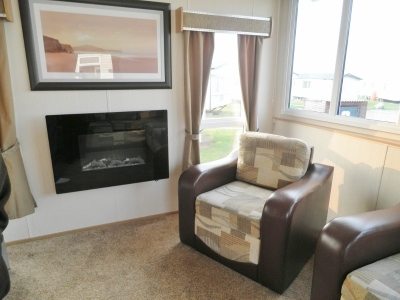 Luxury 2 bedroom caravan to Let at Haven, Doniford Bay. "Platinum Standard" Central heating and double glazing.En-suite to Master bedroom, Wall mounted TV/DVD player. Twin beds in second bedroom.Spacious lounge with comfortable furniture, 32" flatscreen Tv. Dvd player and wall mounted feature flame electric fire. Large window with sea view. Free standing table and 4 chairs in dining area. Fully equiped kitchen with gas cooker, fridge/freezer,dishwasher, microwave, toaster, iron/ironing board, vac and all the pots, pans and cutlery you will need. Plenty of parking at the front of the caravan, and a veranda with patio furniture to take in those sea views.No queueing up at check-in, and no worries about what caravan you will be allocated on arrival. Know exactly where you will be staying. SUMMER SCHOOL HOLIDAYS 7 NIGHTS £625. Haven, Doniford Bay Somerset is located approx. 2 miles from the harbour town of Watchet, 10 miles from Minehead. The West Somerset steam railway runs nearby. The site is situated overlooking the Bristol Channel.